The British period television drama Downton Abbey has become a cultural phenomenon. While it has been reported that standard network television is mostly dead, Downton Abbey and overall viewer increases at PBS are proof that people will seek things out when they see high quality. The new season began with over 10mm viewers in the US tuning in last week to watch the first show. For those who don't follow the story, it is an intriguing, complicated tale with a large cast of characters and has covered historical events like WWI in earlier seasons. Mostly it explores the class system and changing cultural mores in Britain of the 1920s through the lives of various characters. Flash forward from that earlier period in Britain and you can see things are interesting in the Eurozone now as well. Economic growth there is stagnant, political difficulties abound and deflationary pressures are weighing on the both the Euro (EUR) and the British Pound (GBP). Meanwhile, the US dollar (USD) is a beneficiary of Europe's woes as a safe haven currency, but primarily the dollar is strong due to the strength of the US economy. Our economy picked up even more momentum in the latter part of 2014, with an improving job market, falling fuel costs and declining unemployment numbers. Community bankers perhaps would say that's nice but what does that have to do with my world? Well, for starters a stronger USD affects every aspect of our lives really. Take for instance gasoline prices. A lot of oil is still imported and if the US dollar is stronger, this lowers the price of gas in the US even more - a benefit that everyone feels. Extra cash in customer pockets results in more money spent in businesses and some portion will be deposited at banks raising funding levels. A stronger dollar affects business customers. For banks who serve manufacturers exporting goods, there may be less demand and they may need to either review pricing or expect some slowdown. The opposite is true for businesses that import goods, as those goods will be less expensive than before. For manufacturers who make products using foreign-made parts, it may be possible to cut production costs and it's a great time to stock up. For those who sell foreign-made goods, it may be possible to cut prices or book more profit. Given such a globalized and technology/internet connected world, a stronger USD can provide opportunity for your customers and in turn your bank. Look no further than a recent National Small Business Association survey of small businesses. It found 63% of those who do not export today say they would be interested in starting to do so. This is a huge 47% jump over the past 3Ys alone, so it is a good opportunity for community banks. This is also true for those small businesses that already export. Consider the Census Bureau finds small exporting firms account for 98% of all exporting firms and 33% of total US exporting value. If you are actively offering international services to your customers, thinking about doing so, or want to expand your capabilities, PCBB International Services can help. Transferring foreign currency for business and individual customers is an important and valuable service that will help keep your bank competitive. A comprehensive set of international services can also help your bank book more fees and it keeps customers from going to a competitor to carry out a transaction. As with the plunge in oil prices to near $45, the US dollar is climbing to levels not seen in many years, so maybe it's time to take that European vacation! Even if you don't have time to go, your bank's customers may decide it is a good time so help your customers get off the plane with a few Euros or Pounds in their pocket for a cab or a coffee. Don't forget to offer currency exchanges to individual customers as well as businesses. 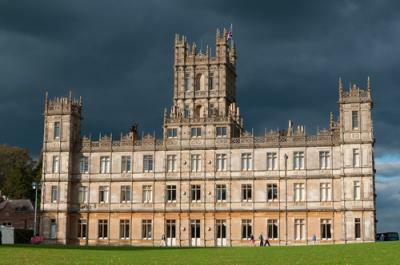 Then if they decide to visit Highclere Castle where Downton Abbey is filmed, they are prepared. Most likely Mr. Carson won't be on hand, but it is still a good idea to have a few Pounds on hand just in case the occasion arises to buy him a coffee. Treasury yields saw relatively little change by the close, moving less than 1bp in an uneventful trading session. Yields are down 3bps with the 30Y hitting a new low due to the sharp drop in the price of copper. FDIC data shows the average quarterly ROE for banks from Q1 2004 to Q4 2006 was 12.9% (pre crisis). Following the crisis period (2007 to 2010), the same data finds average quarterly ROE from Q1 2011 to Q2 2014 has been 8.8%. Less leverage, more regulation, heavy competition, lower market rates and lower lending activity have all combined to keep ROE in the latter period about 32% below pre-crisis levels. CNBC reports in 2014 renters paid 4.9% more than they did in 2013. Analysts say increases like this will eventually push Millennials into home ownership. Analysts project banks will issue about 575mm credit cards with chips in them by the end of this year or close to 60% of the roughly 1B credit and debit cards in circulation in the country. The FDIC warns banks that have lengthened the duration of their investment portfolios that they could experience reduced liquidity if rising interest rates lead to significant depreciation in the value of those securities. The concern is that liquidity could be severely constrained if an institution relies on marketable securities as a primary or secondary source of funding. One good way to get a handle on this is to stress test the price of your securities in upward rate scenarios and then apply appropriate collateral "haircuts" to ensure you know exactly how much liquidity could be lost. The OCC reminds banks to be sure to incorporate cybersecurity considerations into their overall governance, risk management, or strategic planning processes.